Take your pick on where to wave goodbye to 2018 and hello to 2019. The more time goes by the more seems to be happening on Ibiza even during the low-season. Far from slumbering, the White Isle has plenty to offer during the winter as well. Take New Year's Eve. With many parties to choose from, you will be spoilt for choice. Plenty of top DJs will be here and even some of the island's super-clubs will be re-opening their doors for the occasion. Have a look at our selection below to take your pick. There's something for everyone. Go on then. 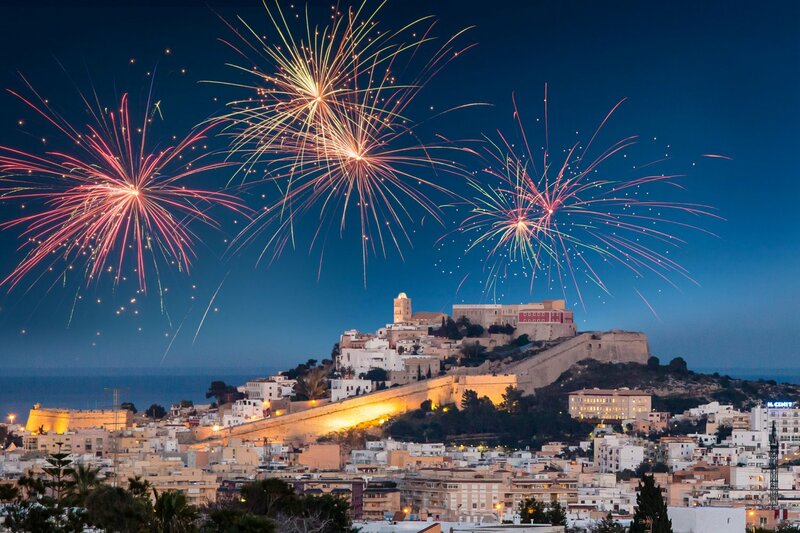 Book those flights and make Ibiza the first place you see when 2019 kicks off. Here's a lavish way to greet 2019. In only two years, La Imprenta has transformed La Marina in the heart of Ibiza Town with cabaret shows harking back to Chicago and Paris. For New Year's Eve, the innovative restaurant is going all out to make it unforgettable with classic and Christmas themes by Claudia Ottelli. Sport you fanciest outfits and get ready for the ultimate dinner. Head here for more info and reservations. For its "cherriest winter," Pacha closes out the year by throwing a massive bash and you can start with dinner, too. The night kicks off with sister venue Lío and its spectacular cast taking over the restaurant. At midnight the night continues in the legendary super-club with none other than Luciano taking care of tunes. Need we say more? Probably not, as it does not get much better than this. Find more details here. Fancy getting the year started with some fabulous disco and house tunes at a gorgeous beachfront venue? Then this is the party for you. Island-favourite Melon Bomb heads on over to Nassau Beach Club for the final party of the year. With these two household names, you are guaranteed a blast. Head here for more info. Celebrate the new year in grand style at STK with Ibiza Talents. Expect loads of energy and the finest homegrown DJs and producers. Cristian Viviano, Eder Alvarez, Luca Donzelli, Martienzor b2b Rumme, Tom Pool and more will be on the decks to keep you dancing until morning. Check out more details here. Having quickly become one of the island's favourite venues, HEART Ibiza puts on a very special one for the final bash of 2018. Besides the snazzy venue, the line-up has quite the collection of tune masters. Davide Squillace, Jean Claude Ades, Martin Buttrich, Tuccillo, Anna Tur and Upercent are all scheduled to have you dancing into the new year. Head here for more info and tickets. No doubt an unmissable event for island-dwellers, Circoloco NYD at DC10 is where you want to be on the first day of the year. With unbeatable energy, a great crowd and needless to say top-notch music, this party is a unique affair at the popular haunt. While we wait for the line-up to be announced, past editions have seen the likes of Adriatique, Apollonia, Butch, Janina, Tania Vulcano, wAFF and many more setting it off. Check out full details and grab your tickets here.